As an advisor to Robert David Steele in the production of his series, "Memorandums for the President on 9/11", I have made quite a few recommendations of experts who could make their own important contributions. Among those I have suggested was Rob Balsamo, Co-Founder of Pilots for 9/11 Truth, which has made highly significant discoveries that never received the recognition that they deserve. 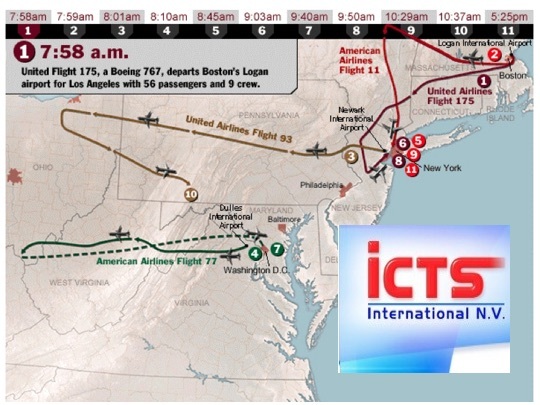 We already have memoranda from an Aeronautical Engineer, "Memorandum for the President: No Boeing 757 Hit the Pentagon", and from John Lear, "Memorandum for the President: 9/11 Twin Towers were Not hit by Nor destroyed by two Boeing 767s", which establish theses (T1), (T2) and (T4). My belief was that Pilots could confirm (T3) and (T4) as a valuable contribution to the series. Because Rob was reluctant, I suggested I could draft a memorandum for his consideration, but after a few days deliberation, he decided against it. Since my draft was based upon and simply paraphrased the content of three of Pilots' previously publish studies, I was rather taken aback. Here is the draft memorandum. I would welcome comments or speculation as to why Rob refused to endorse it. From Pilots for 9/11 Truth, "9/11 Intercepted"